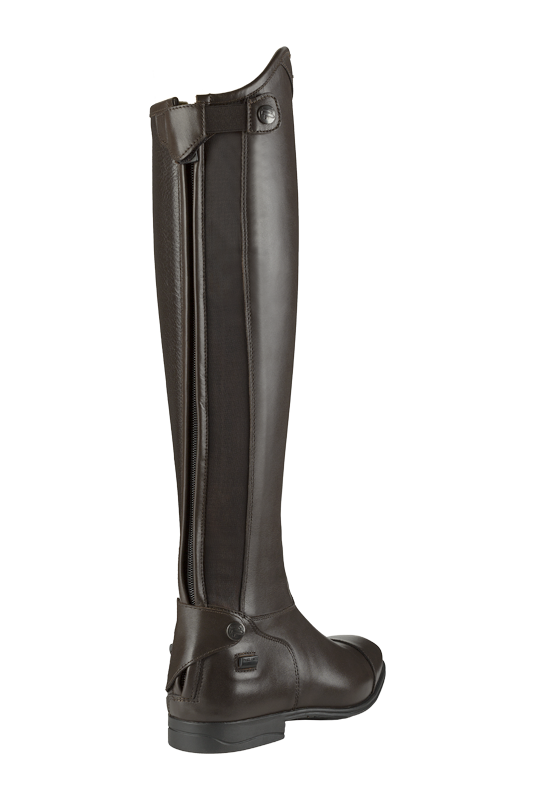 The ASPEN Pro riding boot is a technologically superior product, handcrafted in full-grain calfskin and buffalo leather. 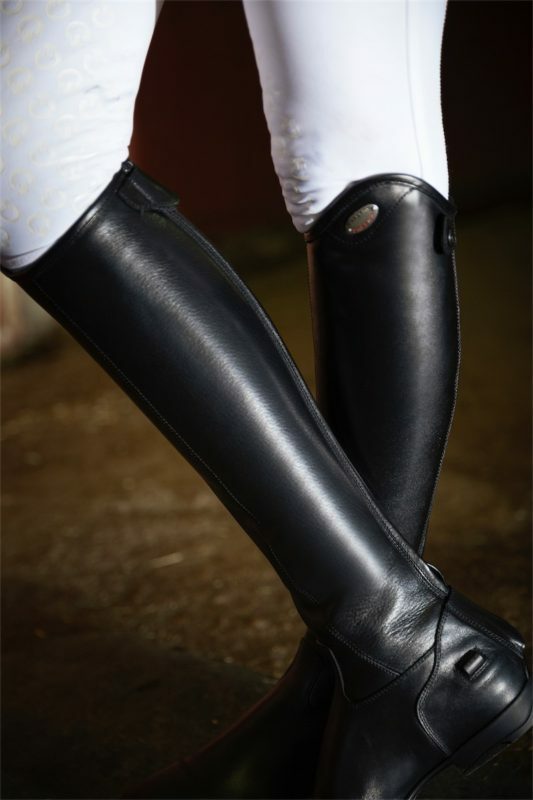 They come equipped with rear elastic band to ensure flexibility and contact at the highest levels. The reinforced zippers, the well-shaped leg, the compact semi-square toe design and the high performance sole complete this elegant Italian craft product. Eleven EU foot sizes, four height options and four calf sizes will provide the best fit you could hope for. Available in black or dark brown color. 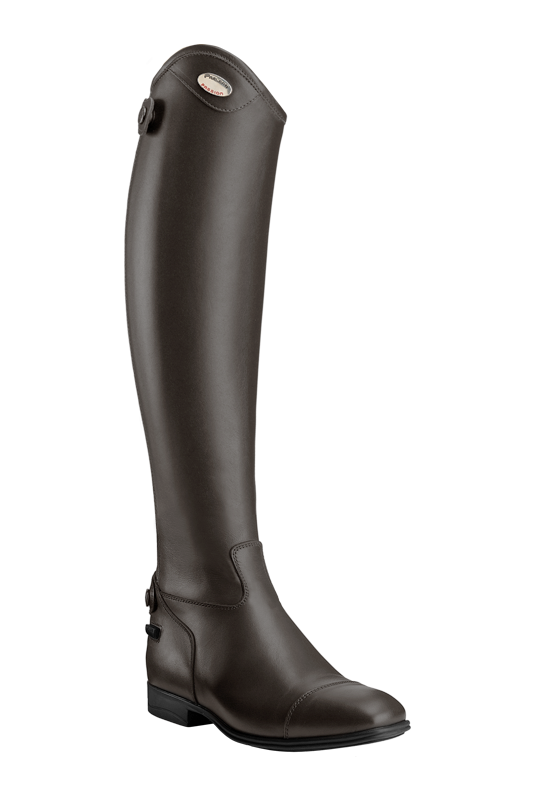 A perfectly shaped leg designed to enhance your ride. The rear elastic band, with its 2 centimeters of extra extension, allows the boot to wrap the leg in a superlative way. A unique “feel” and a perfect support that translates into grater overall control. The Pro models, in full-grain calfskin leather, comes with a buffalo leather interior lining. A soft and durable leather that, with a “grip” effect, increases overall control and stability while prolonging the longevity of the boot. A new concept of technical sole, made of an advanced mixture of 100% rubber and latex to always ensure the right amount of flexibility. The “shock-absorbing” technology, built into the heel, dampen down the stresses.